Chicago Bears G.M. 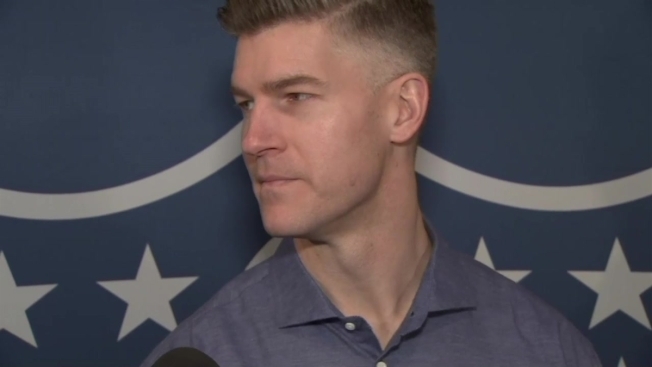 Ryan Pace discusses the team's decision to cut kicker Cody Parkey on June 1. Robbie Gould has hit 82 of 85 field goals since being cut by the Bears. Cody Parkey will be cut on June 1 after missing a game-winning kick in a playoff game against the Eagles. The Chicago Bears will be looking for a new kicker next season, but it doesn’t look like they’ll have a fan favorite as an option for that job. According to San Francisco 49ers head coach Kyle Shanahan, kicker Robbie Gould will be on the team next season, and that would mean the Bears won’t have a chance to grab him as a free agent this offseason. Gould was set to become a free agent this offseason, but now it appears the 49ers will either use the franchise tag on him to keep him in the Bay Area, or they will agree to a longer-term contract extension with the veteran kicker. Gould spent the first 11 seasons of his career with the Bears, making 85.4 percent of his field goals during those seasons. He was cut by the Bears after the 2015 season, but he’s continued his stellar play since then, missing just three kicks in 85 attempts for the New York Giants and the 49ers. Meanwhile, the Bears have been trying to find a long-term option at kicker, but have been unsuccessful thus far. Cody Parkey was the latest kicker to get a chance, signing a four-year deal with the team during the 2018 offseason, but he will be cut on June 1 after missing a critical kick during the team’s playoff loss to the Philadelphia Eagles.